Ah, landlords. Not to pick on any landlords that happen to be reading this, but the average person probably doesn’t have very positive thoughts when they hear that word. Now, granted, landlords are people, too. Tenants and landlords need to have an understanding in order to have a pleasant living experience for as long as you hold those apartment keys. We’ve all had horror stories no matter what side of the equation we fall on. However, and this may come as a shock to you, you may be unaware that your landlord actually hates you. That’s right. You’ve been labeled a bad tenant. But how could this have happened? Well, it’s hard to say. But, what we can tell you is that if you do any of the following ten things on our list, you probably have your answer. At least you’ll know how to remedy or prevent this situation, though. 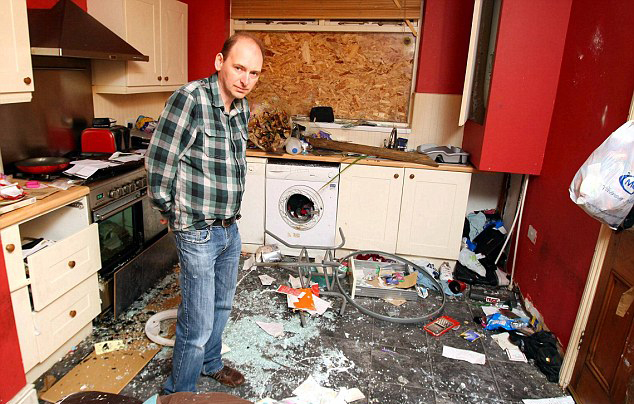 Here are ten reasons your landlord probably hates you. Let’s ease you in with entry number one. This shouldn’t come as a shocker to anyone. Though, if you are surprised by the fact your landlord doesn’t appreciate being paid late every single month, I think you found out why he or she hates you! Pay your rent on time. Your landlord could be dependent on that income. If you wouldn’t stand for your paycheck being a week late, your landlord won’t either. Point number one could be included here. However, there are many ways beyond being late paying your rent where your forgetfulness can really annoy your landlord. We all make mistakes, but if you have a habit of locking yourself out in the middle of the night or losing your apartment keys, that can grate on your landlord very quickly. That’s why services like on-demand key duplication provided by KeyMe can bail you out of the toughest spots. Stop waking up your landlord and stop blowing hundreds of dollars on late night calls to the locksmith. If your apartment is in the middle of flooding, by all means call your landlord at 2 am. He or she will appreciate being woken up if it means saving the building from catastrophe. What’s not okay is calling about a tiny leak that only happens while you wash dishes. By all means shoot a text or make a call during reasonable hours, but something like a little leak isn’t an emergency. Same thing goes for visits from critters. As horrifying as they can be. Flip the last point on its head. Your bathroom walls have an interesting marbled effect. That black stuff? Yeah that’s mold. And it’s poisonous. Probably don’t want to be breathing it in. Mold also doesn’t just appear over night. It takes time to grow and take over your bathroom. Should have called your landlord while it was still just a patch and not a nearly sentient being that’s devouring the building from the inside. Here’s a tough one. You’re renting a place either by yourself or with a roommate(s). Your landlord expects that the people that signed the lease are the only ones living in the apartment. Lo and behold, two boyfriends/girlfriends move in soon and you’re living in a sitcom. That’s cool right? Nope. Because suddenly your landlord notices your water bill has nearly doubled and people he or she doesn’t recognize are coming in and out of the building with their own keys. Talk about an awkward conversation. If living situations change, be courteous and let your landlord know. Simple and to the point. If your stereo system is shaking the building or you live on the top floor and practice doing cartwheels all day while wearing Doc Martens, you are annoying. And not only does your landlord hate you, but so does everyone in your general vicinity. Stop it. Some interesting facts about the average renter. All stats from the 2014-2015 Census. Infographic by Rentec Direct. Click to enlarge. It’s your apartment. Leave clothes all over the floor if you want. But once you start doing things that can affect your neighbors or the condition of the building, you’re going to invite negative attention from your landlord. Food everywhere that invites roaches, the mishandling of trash, clogging up the drains, etc. can all make you a bad tenant. Take care of your apartment within reason and avoid the negativity. Most buildings are smoke-free these days. Not to get into a physics lesson or anything, but smoke has a tendency to pass through walls and get trapped in fabrics. Yes, we can all still smell the smoke even though you’re exhaling through a giant straw that you have pointed out an open window. The specificity of that just freaked you out, didn’t it? Take a walk around the block if you need a smoke. If your landlord ever enters your apartment and sees four space heaters plugged into an extension cord that then goes into a power strip and…well, you get it. If you’re that cold, see the points above about proper communication. Let your landlord know there’s a heat issue. Please, just don’t burn the place down. Landlords want to know if you intend to renew your lease or if you’re leaving so they can properly prepare to fill the vacancy. If you just hand over the keys on the 30th of the month like “By the way, dude, I’m leaving and the U-Haul is outside waiting for me,” that leaves a very bad impression. It can also jeopardize getting your deposit back depending on where you live. Be mindful of deadlines and keep that communication open. No one likes a bad tenant. Don’t be that person! Find your KeyMe kiosk, get a spare key and save your keys to the cloud so you never have to call your landlord to let you in at 2am!